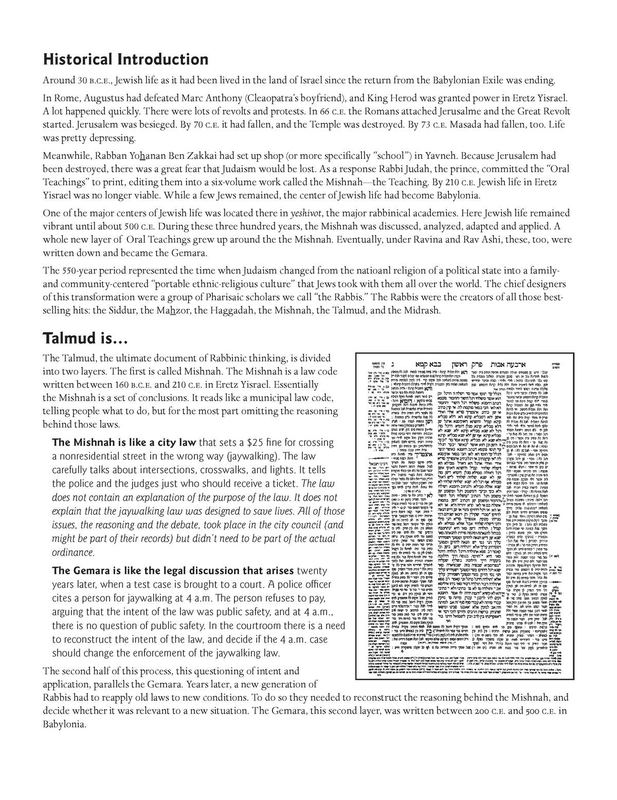 What is Talmud is a hands-on exploration of the process and text of the Talmud. 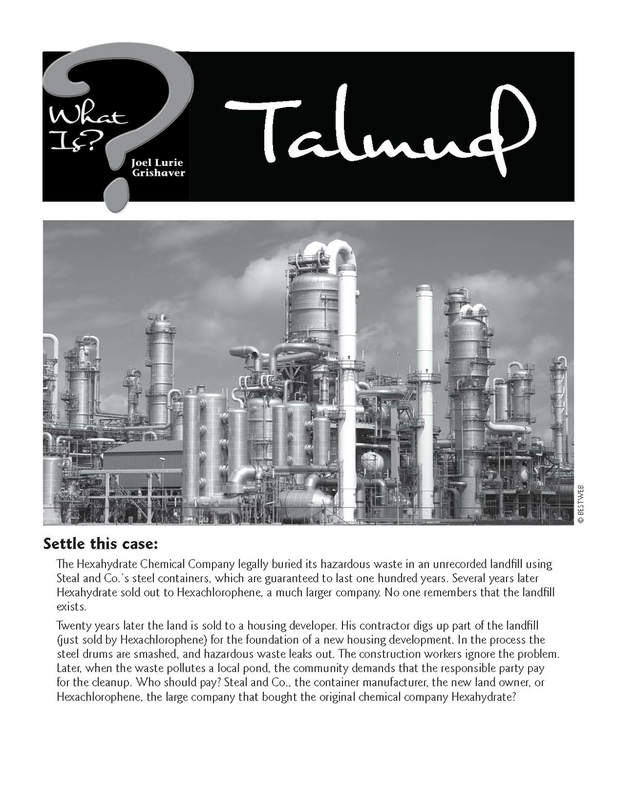 It begins with an ethical problem—a question of responsibility for hazardous waste disposal. The body of the lesson involves reading, analyzing, and then bringing to life the transcript of a Talmudic discussion.